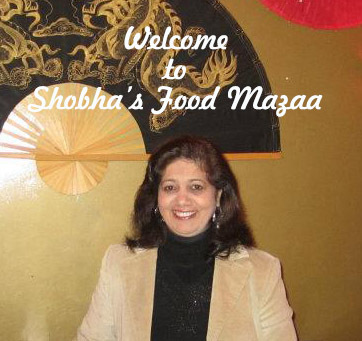 Shobha's Food Mazaa: RED LENTIL AND CHICKEN SAUSAGE SOUP. Try out this delicious mint and oregano flavoured red lentil soup with tasty bites of chicken sausage. Vegetarians can skip the sausage and add mushrooms instead. 1. Heat oil in a pan and saute the sliced red onion until it softens. 2. Add the crushed garlic and stir. 3. Now add the soaked red lentils and 4 cups of water. 4. Bring to a boil and simmer it. 5. When it is half done add the tomato puree, dried oregano, chopped mint leaves, salt and paprika powder. 6. Simmer it stirring occasionally. 7. Slice the chicken sausages and saute them in a small pan. 8. Add them to the simmering soup and also add the lemon juice. 9. Adjust the consistency of the soup to your liking. 10. Serve it with any bread you prefer. Shobha, your soup looks delicious. I love the spices you have used - the contrast of oregano and mint would be fantastic! Thank you for sharing with us at the Hearth and Soul Hop!